What do you think are the best funny random questions to ask someone? At first, you can think about questions you will prefer that people ask you. I mean the kind of questions that you will be happy to answer, those are the exact questions you should ask someone else. The questions might be funny and probably flirty but must not turn the person off. Knowing the best questions to ask will also save you the embarrassment and stress of trying to get people to answer even when they don’t want to. People will willingly answer your questions when they are okay with it. So before you ask that question make sure it is a good one. 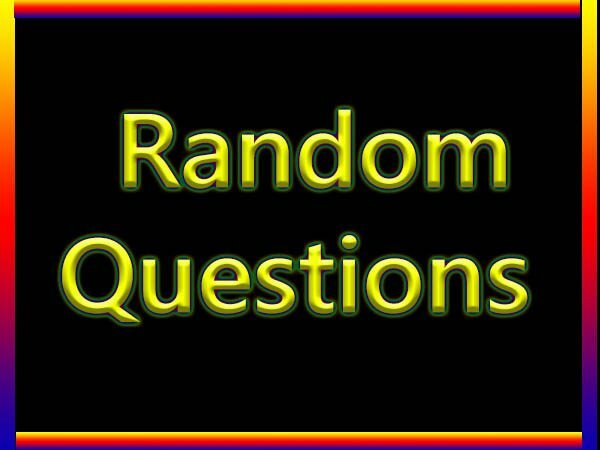 Here is a list of best random questions you can ever ask someone. 21. When was the last time you lied and to whom and why? 22. Tell me about something you really regret? 23. What scares you the most and why? 24. What do you do in your free time? 25. Which is your favourite part of the human face and why? 26. Which is your favourite body part of the human body and why? 27. Tell me about a mistake you made? 28. If you could do anything OR wish for anything that would come true, what would you wish? 29. Whats your middle name? 30. How big is your bed? 31. What music are you listening to right now? 32. What are the last 4 digits of your cell phone number? 33. What was the last thing you ate? 34. Tell me about your favourite music/song/band? 35. Tell me about something you would happily do again? 36. Name your 5 favourite foods? 37. Have you ever being in love? 38. Do you like to shop? 39. How often do you go online? 40. Tell me about someone you really admire?